For almost six decades, the United States has played a leading role in global efforts to alleviate hunger and malnutrition and to enhance world food security through international food aid assistance—primarily through either the donation or sale on concessional terms of U.S. agricultural commodities. Objectives of U.S. foreign food aid include providing emergency and humanitarian assistance in response to natural or manmade disasters and promoting agricultural development and food security. 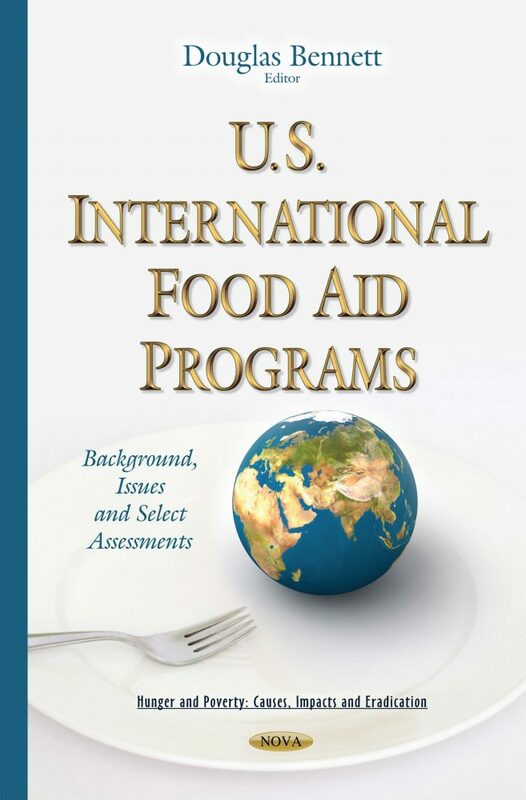 This book includes a description of U.S. international food aid programs under current law; several important policy issues related to U.S. international food aid; and describes Administration and congressional proposals intended to change the nature of U.S. food international aid. This book also reviews the U.S. Agency for International Development’s (USAID) processes for awarding and modifying cash-based food assistance projects and assesses the extent to which USAID and its implementing partners have implemented financial controls to help ensure appropriate oversight of such projects.